Now, check out this story about how Russia is dumping its holdings of U.S. debt (“Treasuries” — T-Bills, T-Notes, T-Bonds, and TIPS). There are various theories as to why Russia is doing it, ranging from the benign (restructuring their portfolio) to the retaliatory (because of U.S. sanctions). But the Bitemaster sees something more sinister. When there are more buyers of debt instruments, the lender can lower the interest rate it offers. When Russia gets out of the market, there are fewer buyers and the interest rate the U.S.Treasury has to pay goes up. Which is just what has happened. So far, the cost to the U.S. is tiny: only a couple billion dollars. But if other countries follow, it could have long-term effects on the U.S. economy. And that is what I think is the plan behind Russia’s move. And that could move voters towards the Democrats — except that the Democrats will be totally hamstrung by the gigantic national debt they would inherit from the Republicans. Win or lose, the Dems are bleeped. Trade wars are easy to win, Mr. President? So let’s go back to China: We raise tariffs, they respond in kind. Currently, we’re talking hundreds of billions of dollars. By the time you read this, the tariff threats will be in the quintillions of dollars. 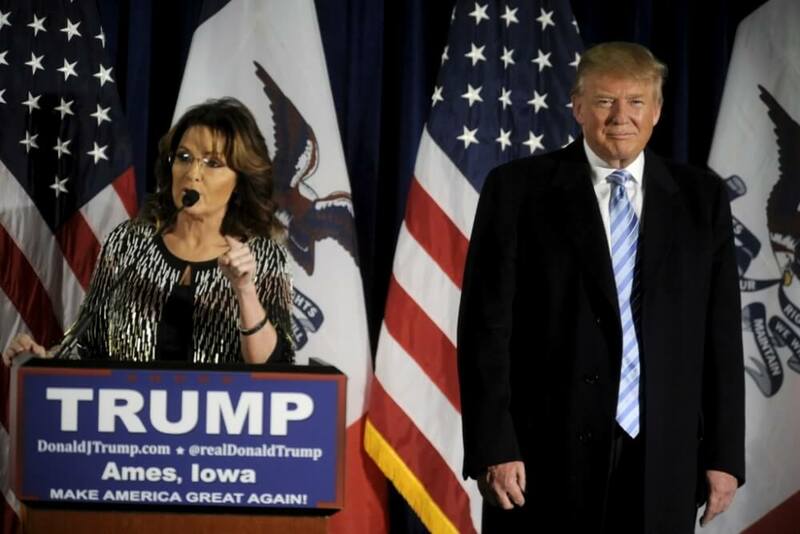 Then China goes to the “nuclear option” and announces that they will stop buying US debt. Everybody freaks out and Wall Street types start taking headers from their office buildings. What does Trump do? He threatens to cancel the T-bills, notes, and bonds that China holds. Xi Jinping apologizes, the two autocrats negotiate a trade deal that is slightly more favorable to the US than the pre-war arrangement, and they hold a joint press conference in which they bestow outrageous compliments upon one another. See — it was easy. 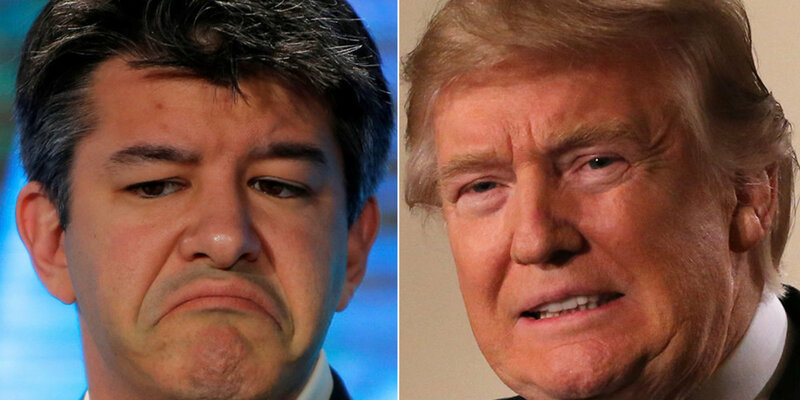 Uber CEO Travis Kalanick is resigning from President Donald Trump’s economic advisory council, according to the company. In a memo to employees, Kalanick said he didn’t want his presence to be seen as endorsing the president or his agenda. The Bitemaster is no fan of Uber, but when they decide to Do the Right Thing, I praise them! Looks to me like the employment situation gets better under Democrats, but not by a whole lot. According to the Wall Street Journal (1/27/2016), the student loan market is starting to heat up. It’s good news for big financial institutions, which expect to make a mint when Trump lets the private sector take over a larger portion of the student loan biz. Of course, we’re already on the hook for about a trillion dollars in loans — money that we’re unlikely to ever see again. Part of the cause is that, when the government throws money at something — like college tuition — prices inevitably go up. Just like housing prices rose during the 2001-2005 housing bubble (thanks largely to Bill Clinton. Andrew Cuomo and George W. Bush’s policies of promoting home ownership by minorities). While I’m waxing eloquent on economics, I’ll explain why the housing bubble burst: The Federal Reserve raised its interest rate from mid-2004 to mid-2006. In 2006, housing prices started to decline. That led to the subprime mortgage crisis. 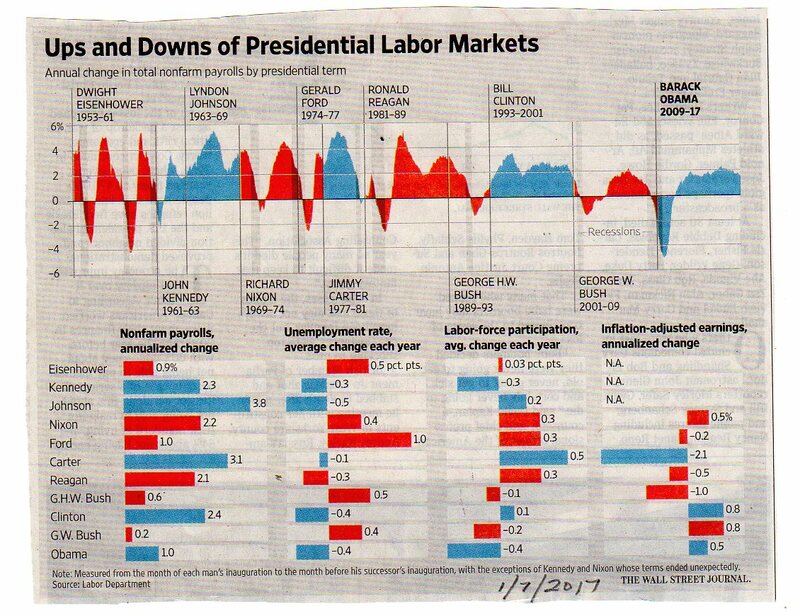 By December 2007, we were in the midst of a recession. Q.E.D. 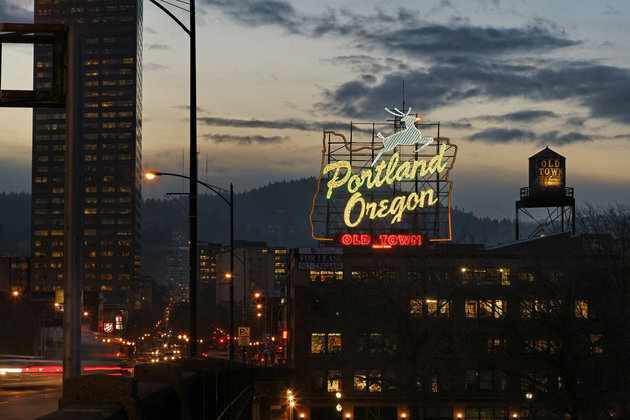 In an effort to combat income inequality, Portland, Oregon, on Thursday became the first jurisdiction to adopt a tax penalty on companies with excessive CEO-worker pay gaps. Under the new law, companies doing enough business in Portland to pay the city’s business fee will be taxed an additional 10 percent if their CEO makes 100 times what median workers earn ― and an additional 25 percent if they make 250 times more. [T]he total inflation-adjusted output of the U.S. manufacturing sector is now higher than it has ever been. That’s true even as the sector’s employment is growing only slowly, and remains near the lowest it’s been. 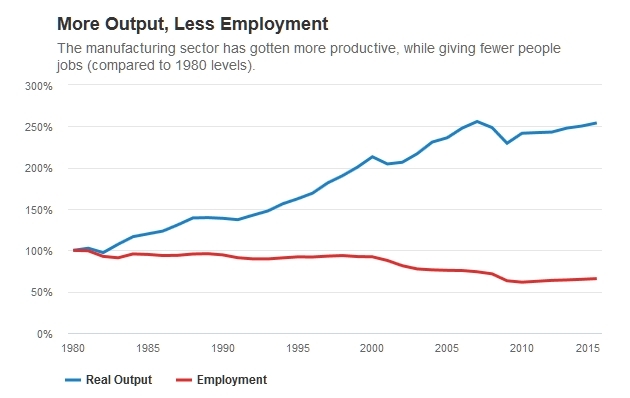 These diverging lines—which reflect improved productivity—highlight a huge problem with Trump’s promises to help workers by reshoring millions of manufacturing jobs. America is already producing a lot. And in any event, the return of more manufacturing won’t bring back many jobs, because the labor is increasingly being done by robots.